Pneumothorax. 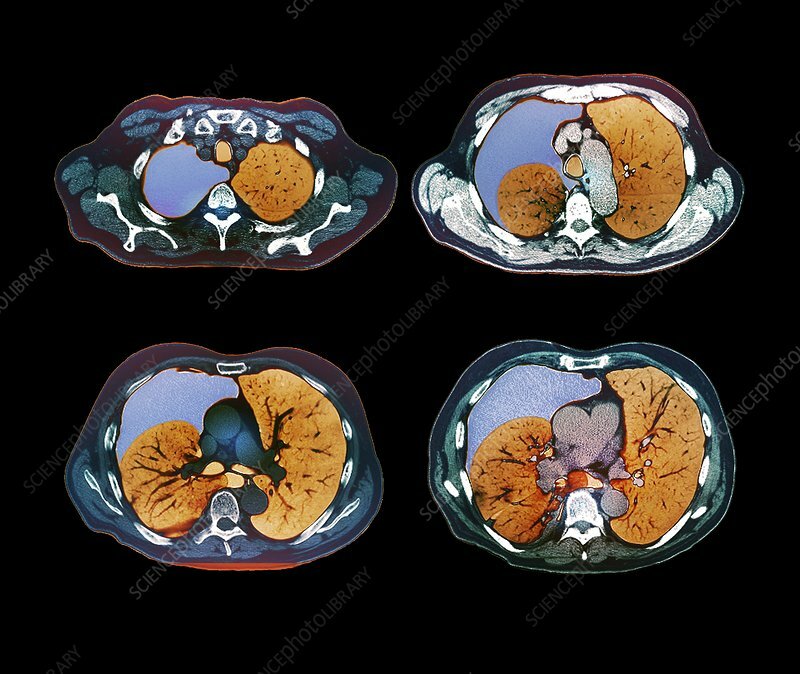 Coloured computed tomography (CT) scans of axial sections through the chest of a 68-year-old after a horse riding accident, showing a large pneumothorax (blue) in the right lung (left) and a fracture of the middle arch of the fifth rib. Pneumothorax is an abnormal collection of air or gas in the pleural space that separates the lung from the chest wall. This gas can place pressure on the lung, squashing it and reducing it's capacity, therefore interfering with normal breathing.